We focus on cash flowing and turn around self storage facilities in Utah & Tennessee, and work with investors who want to earn higher returns. Potential Acquisitions must meet strict due diligence and investor stability requirements. Qualified investors reserve positions by depositing funds into a “Holding Escrow” account until closing. With a 3rd party Management Company, an immediate focus on improving operational efficiencies & revenue management begins. According to Bloomberg Markets, Self-Storage is “…the number one alternateive investment”. During recent years, Self-Storage has seen returns in the TRIPLE DIGITS! In 2014, the sector returned 483% to its investors! Fueled by homeownership dipping to it’s lowest point in years after the real estate crash, and the increase in demand as Baby Boomers downsize, this sector is Red Hot! 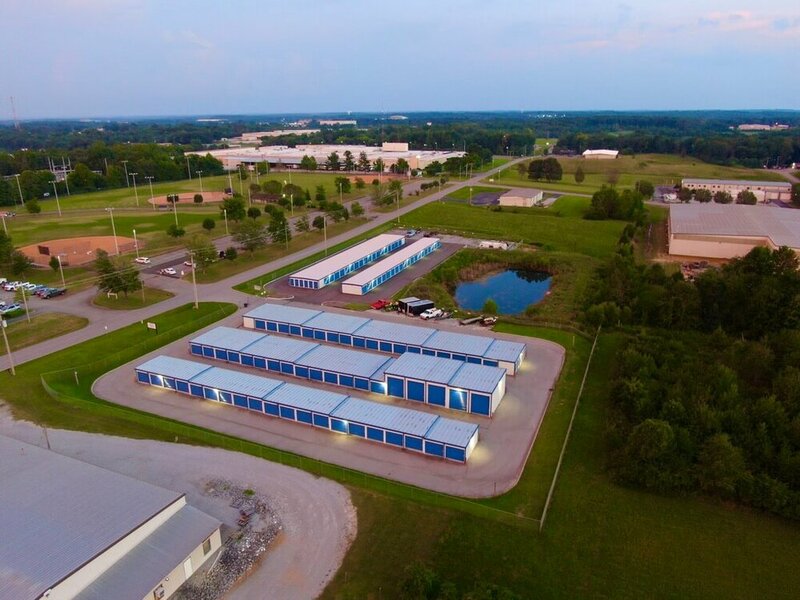 So just how has Self-Storage become the “Cinderella” darling of Commercial Real Estate Investments? Invest in The Best Kept Secret in Commercial Real Estate – Self-Storage! There are many ways to take advantage of the Red Hot Self-Storage market. Acquiring properties yourself, and enjoying the benefits of owning Real Estate without all the hassles of tenants, toilets and trash. Or, you can partner on projects with a proven team, like the one here at Suitable Storage LLC. 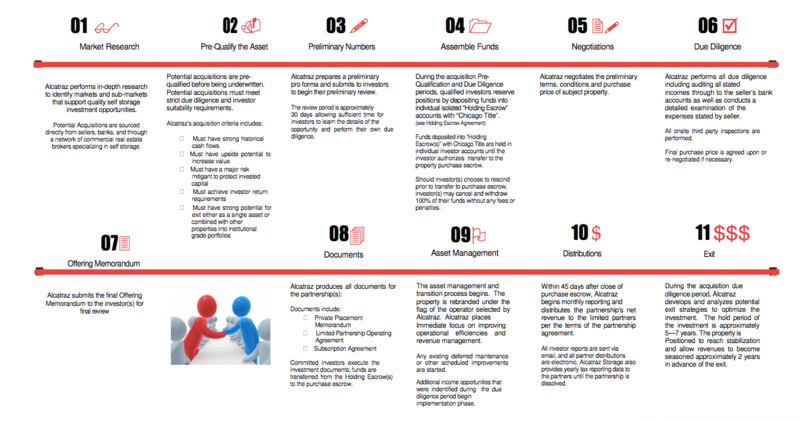 We partner with investors seeking greater, and more predictable returns for their short and long term investing goals. Often times there are improvements we can make to the property that will increase the value and bring the property up to it’s full potential. Some properties make sense to buy and hold as a solid cash flowing investment, and others we’ll resell for a profit. The overall long-term goal of each project is the maximize the profit potential of each property and unlock hidden potential in self storage properties all across Utah and Tennessee. See example projects to get a feel for the types of projects we focus on. Did you know there are several different ways to raise the cash for the down payment on your self storage facility? One of which I will caution: I DO NOT recommend or approve of 100% financing or the “No Money Down” deals that you have seen on TV or heard of by other authors and speakers. A colleague of ours was quoted as stating, "In the early stages of my real estate career, most of my single family houses and apartment complexes were purchased with no money down and my entire portfolio was approached a 95% Loan to Value ratio at one point. As a result, my cash flow was very tight, and when the rental market went sour after the events of 9/11, I came dangerously close to losing it all, and thought at one point that I may be heading for bankruptcy. Fortunately, by the Grace of God, and by employing the techniques I have learned and outlined in my Self Storage Study System, I was able to turn things around and I was given another chance to learn from my mistakes. This is probably the biggest reason I have a passion for teaching others how to invest wisely, and how to avoid the mistakes that I, and so many others in this industry have made when it comes to over-leveraging their portfolio. That being said, I have done several deals that have proven to be very successful projects which were purchased with no money down. The difference was that the deals were SO good, and the upside SO incredible, that I felt safe in leveraging them higher than my usual 80% threshold. In addition, I have structured the financing of my down payment on several deals in various ways to avoid a large drag on the cash flow of the property after acquisition. Furthermore, I do not recommend that your portfolio ever rise above a level of 80% Loan to Value, especially if you are making regular payments on any down payment capital that has been borrowed." As you are already aware, there are several ways to raise cash for the down payment on your self storage deals. One of my favorites, Self-Directed IRA's, are a great vehicle for allowing me to invest the money in my IRA, tax free, in the business I love; Real Estate. In addition, I can set the terms surrounding how the funds are to be borrowed from my IRA, allowing me the utmost flexibility. I purposely structure the loan from my self directed IRA so that the interest accrues, and there are no monthly payments made until I sell a property, and ultimately pay back my IRA. There are several companies that can act as the custodian of your self-directed IRA. I suggest you talk to several before choosing one that meets your needs. In addition, there are several transactions that are prohibited, so be sure to ask your custodian about the current laws regarding the use of your Self-Directed IRA for the purpose of investing in your own properties. Is Self Storage The Right Investment For You?